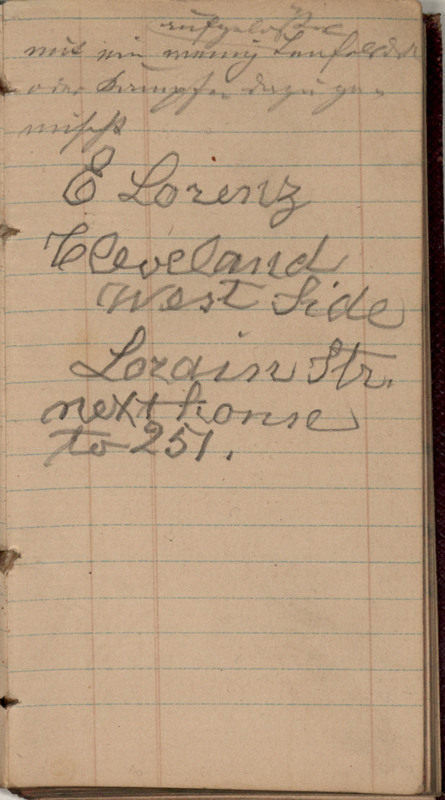 [illegible - possibly recipe for medicine] E Lorenz Cleveland West Side [Lordin?] Str. next house to 251.